We thought it was important to highlight the guests that have had to cancel for this year’s Official Power Morphicon in their own update in case they were tops on your list of autograph and photo-ops. Check out the current list of cancellations below. We are sad to see these guests not being able to attend. Most of all, we are sad that the opportunity to have all six Power Rangers Time Force Rangers in attendance, along with the villains, is no longer possible. But there’s still great photo opportunities out there so please head to the Official Power Morphicon site and pre-register for your photo-ops! UPDATE! Danny Slavin will now be appearing on Friday and Saturday at Power Morphicon! Great news for those who were upset that he had cancelled earlier. 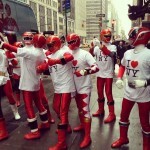 › Characters: Alpha 5, Quantum Ranger, Lost Galaxy Red Ranger, S.P.D. Blue Ranger › Show: Power Rangers Time Force, Power Rangers Lost Galaxy, Mighty Morphin Power Rangers The Movie, Power Rangers S.P.D. It’s Monday – time for another Official Power Morphicon update! One of the all-time fan-favorite Power Rangers is returning to Power Morphicon this year. Power Morphicon announced today that Dan Southworth, who played Eric Myers the Quantum Ranger from Power Rangers Time Force, will be in attendance at the show this year. He joins a guest list that contains practically 90 special guests from the Power Rangers, VR Troopers, Big Bad Beetleborgs, and Kamen Rider Dragon Knight franchises. It was also announced by individuals on Twitter involved with the operations of Power Morphicon that registration for the show will end in July – so now you have a time frame of when you need to register! But you’ve already registered, right? If not – click here to start your registration process! TokuNation.com and the Talkin Toku Podcast will be in attendance at this year’s Power Morphicon as “Platinum Members”, meaning we will have front row seats and first access to bring you coverage of the show! Power Morphicon will be the second-to-last convention we cover this year – first with Denver Comic Con, then San Diego Comic Con, Power Morphicon, and ending with New York Comic Con! Click the discussion link to see the list we’ve compiled of all the special guests. See you at the show! To celebrate the 20th Anniversary of Power Rangers, we asked our users earlier this year to rank their top 10 Power Rangers of all time. We took a hundred or so nomination lists, compiled them, and created from it a Top 20 Power Rangers of All Time to correspond with the 20th Anniversary. And as we wind down to our Top 5 list, we’re happy to state that TokuNation users have voted Daniel Southworth, who played Eric Myers the Quantum Ranger on Power Rangers Time Force as the 5th Best Power Ranger of All Time! Eric Myers came from a “dirt poor” family, struggling and working incredibly hard to barely make ends meet. Attending the same private school as Wes Collins, Eric grew to despise Wes, who “had everything handed to him on a silver platter”. Eventually leaving the school to find bigger and better things, Eric would join the Silver Guardians, a private police force created by Wes’ father. Upon learning that Wes was the Red Time Force Power Ranger, it became Eric’s mission to somehow gain such a power like that for himself. He learned that the Power Rangers were searching for a device of incredible power, the Quantum powers. Eric found it first and became the Quantum Ranger. With his new power, he quickly convinced Mr. Collins to give him leadership of the Silver Guardians. Soon after, Eric was able to gain control of the Q-Rex Zord, the most powerful zord of the futuristic Time Force civilization, and his quest for “bigger and better” things had finally come to fruition. Eric did not ally himself with the Power Rangers Time Force. He would assist them from time to time when they battled the same enemy, but Eric defended Mr. Collins and his questionable ethics and frequently butted heads with the other Power Rangers. It wasn’t until the final battle that Wes and Eric finally had a moment to speak their minds, declaring that while they grew up differently, they had both worked hard to change their destinies and became Power Rangers. The bitterness finally put to rest, Eric and Wes teamed together only for Eric to jump in front of a blast meant for Wes and his father, sacrificing himself to save them both. Eric would recover, but Wes would finish the fight without him. Mr. Collins would offer the leadership of the new Silver Guardians to Wes, who would accept only if Eric would be his partner. Eric (along with Wes) would make multiple appearances in the next series, Power Rangers Wild Force, both for the annual team-up episode and for the special Forever Red 10th anniversary episode. 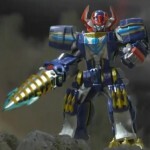 The Quantum Ranger was the first (and only) 6th Ranger to achieve a “battleizer” power-up mode. Daniel Southworth, who played Eric Myers, was an accomplished stuntman who performed a majority of all the stunts for his character. 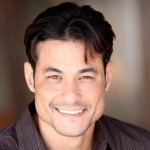 Daniel Southworth is an accomplished stuntman, actor, and is beloved among the Power Rangers fan community. Many have listed him as their favorite Power Ranger, and he consistently gives Jason David Frank a run for his money as peoples’ favorite 6th Ranger. He has attended numerous conventions over the years and has always treated his adoring fans with kindness, respect, and gratitude. Daniel has never stopped acting since his role in Power Rangers Time Force, having been in movies, television shows, short films, and voice work in video games like Marvel vs. Capcom and Devil May Cry. The list is long, almost too long to post, so head over to his IMDB profile and take a look at some of his credentials. 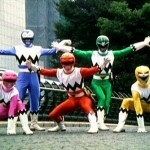 We’re winding down to our final 4 positions in the Top 20 Power Rangers of All Time list! Is Daniel Southworth in the correct spot? Should he have been higher? Lower? Talk about it! And see if you can figure out who the remaining 4 entrants are and, more importantly, what position they ranked in our polls! A few more details about possible cameos have surfaced since our last update and we’ve put them altogether in this update here! No new confirmations for appearances as of yet, but some fun and interesting details none the less! Daniel Southworth, better known as Eric the Quantum Ranger in Power Rangers Time Force had a tweet that no one caught on to because it was so long ago – back in March to be exact. A fan asked him if Saban had wisked him away to a magical Ranger land … to which Dan replied Nope, but they inquired. There have been no reports, rumors, or anything to cause speculation on whether or not Daniel Southworth would be returning. Cerina Vincent, better known as Maya the Yellow Ranger in Power Rangers Lost Galaxy came out and stated she was invited to be a part of Super Megaforce. Her tweet is as follows: yes! I did get an invite to #supermegaforce ! Still working out the details but I hope to be a part of it! We know that Blake Foster was in a similar situation, and its speculated that Naika Burise was as well, with both now no longer attending. 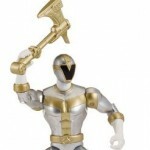 Hopefully details go through and Cerina Vincent can rejoin Danny Slavin from Power Rangers Lost Galaxy! Finally, Mike Chat, better known as Chad the Blue Ranger from Power Rangers Lightspeed Rescue tweeted that production actually called him on the phone about Power Rangers Super Megaforce, as well as saying ”working on it, we’ll see!” when asked if he was going to be a part of the reunion. Check out our list of all Power Rangers returning/not returning. Discuss the possibility of Eric, Maya, and Chad returning for a cameo role in Power Rangers Super Megaforce!